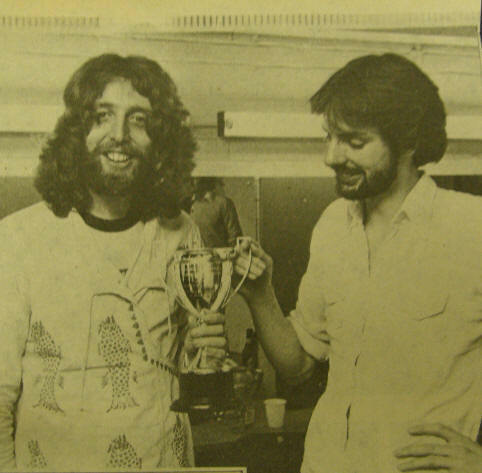 The Friars Aylesbury Cup is a rarely awarded accolade and in the gift of David Stopps. Over Friars 40 years, very few have been awarded as mentioned, so let's have a look at who won the FA Cup and why as the reasons differed. To find myself personally in this company having received the cup on stage in 2009 was one of the most amazing moments of my life. Awarded for Sensation of the Year. 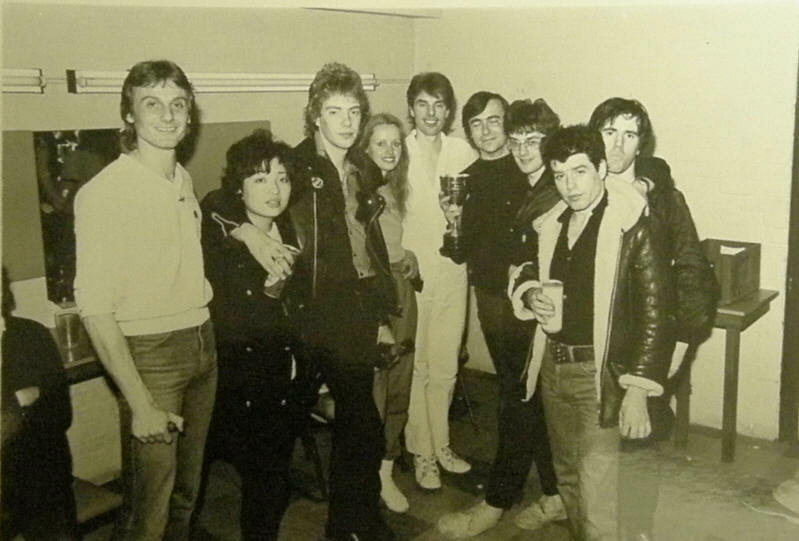 Steve Harley and Cockney Rebel were THE Friars band of 1974 (and in fact one of THE bands of the whole of Friars history) playing four times that year. They played in January on the Friars team's estimation of how good an up and coming band they were. That went down a storm and the band came back in May on the crest of a wave with their second album. Slight problem though, so many people wanted to see them that the Borough Assembly Hall was bombarded with hopeful fans who didn't have a ticket to the sold out gig. So what do you do? You quickly arrange a second gig on the spot to satisfy the overwhelming demand, so they came back within a fortnight. This was the only time this ever happened in Friars history. By the time they played for the fourth time in August, the band may have changed slightly, but they were on the rise to becoming one of the UK's hottest bands. Elsewhere on this website, Steve Harley documents his affection for Friars Aylesbury. Awarded for Sensation of the Year 1975. Sailor took to Friars and vice versa. Always different with their fabled Nickelodeon, the band made numerous sell out appearances and were honoured in February 1976. Awarded for Sensation of the Year. 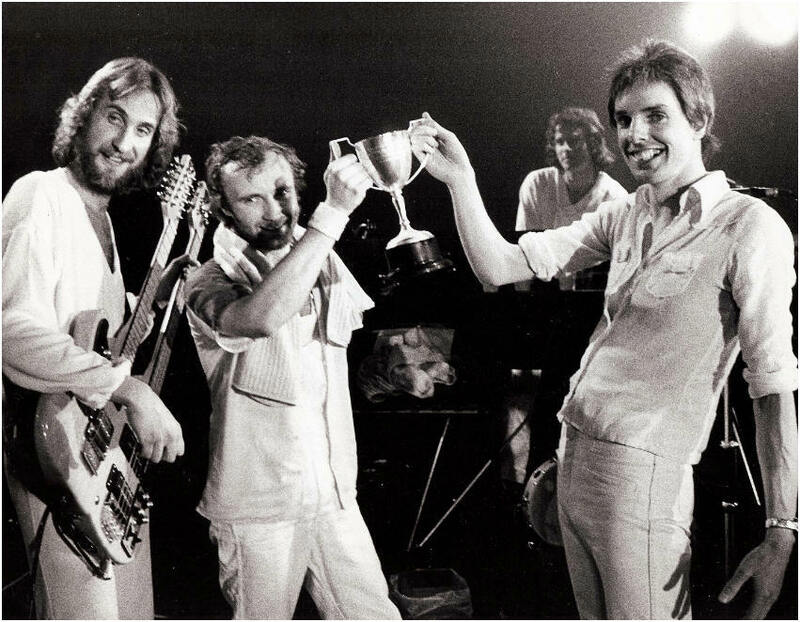 Although all avenues are being tried, no known photographs of the band receiving the trophy exist. We are also led to believe that the trophy was sold by Joey Ramone's father. Awarded for Sensation of the Year. A lucky break in more ways than one. Can's postponement in October 1976 due to a broken arm saw Steve Hillage take his place in Friars history. What followed was sensational. The clamour for tickets to see his L tour ensured people were paying £20 outside the venue for tickets. Doesn't sound much but in context, we are talking over ten times the face value! 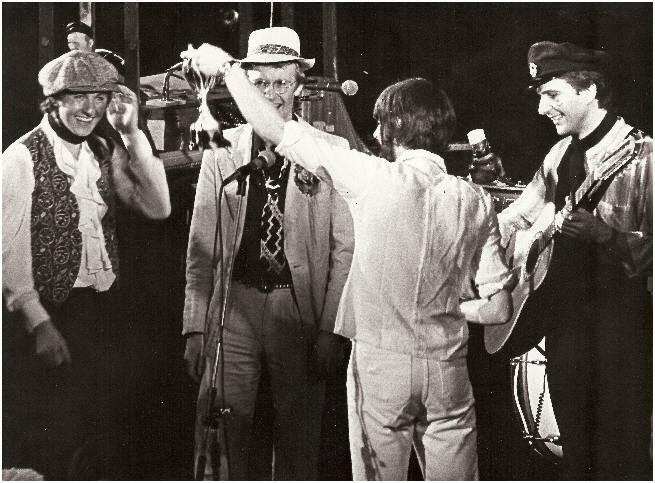 His return in 1977 sold out quickly and Steve was awarded the Cup at that gig. Awarded for the first local artist to sell out at Friars. The enfant terrible of the local scene who regularly played Friars and often with old sparring partner Wild Willy Barrett. Still going strong, Otway is as identifiable with Aylesbury as Friars and Aylesbury Ducks. Before this gig, a Friars organised free concert in Aylesbury's Market Square drew an estimated 20,000 people in 1978. Marillion, Howard Jones and Kajagoogoo all achieved the feat subsequently but Otway was the first local act to have the sold out signs put up. Friars Aylesbury Talent Winners. The tongue in cheek reason was a direct response to Genesis presenting a Talent Spotting cup to Friars in 1973. 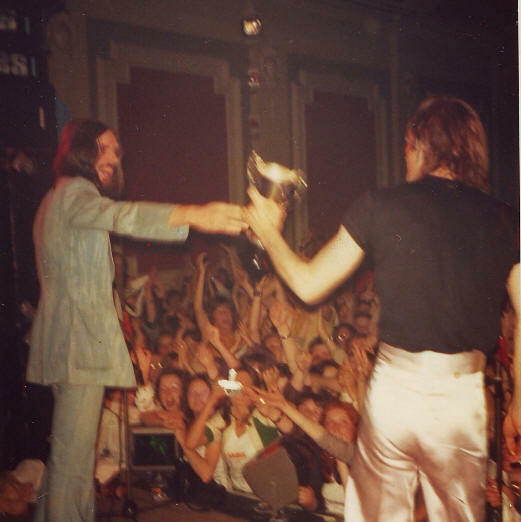 Genesis had last played Friars Aylesbury in 1972. By 1980 they were global superstars and a three day queue in the cattle market ensued to get ones hands on a ticket, the joint most in demand gig in Friars history. Awarded for Sensation of the Year. The Jam were always a popular sellout turn at Friars. 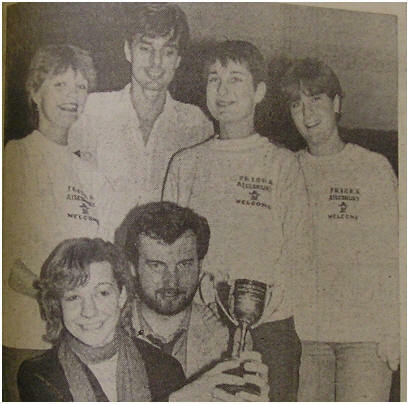 However by 1980 they were now out of Friars league and playing the big venues. However, influenced by the Friars Poll results, they played one last time in 1980 as a 'secret' show and sold out instantly. Awarded for Sensation of the Year. SLF became one of Friars Aylesbury's most cherished bands with the band taking to Aylesbury as much as Friars to them. Numerous sellout appearances and the band came 'home' in 2009 to a rapturous sellout crowd. 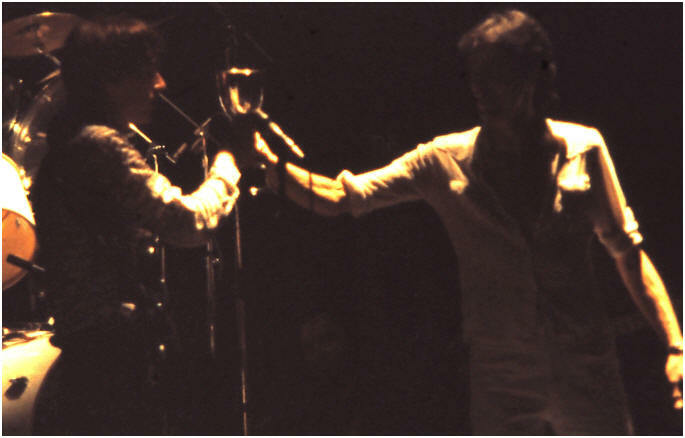 Additionally the live Hanx album was recorded at Friars in July 1980. Awarded for being Friars 50,000th member. No mean achievement at all for an independent club with no national ties. Awarded for Sensation of the Year. Toyah's long over due appearance in 1981 sold out instantly and the audience reaction was near hysteria.
" A huge very special thank you particularly to my wife Sue, David Stopps and to Judy Pearce...without whom there would have been no website"
Awarded for services to the Friars website. Astonishingly prior to suggesting to David about documenting Friars history, there was little out there. We set about it intending to capture every gig, poster, flyer and memories and we've pretty much got there. 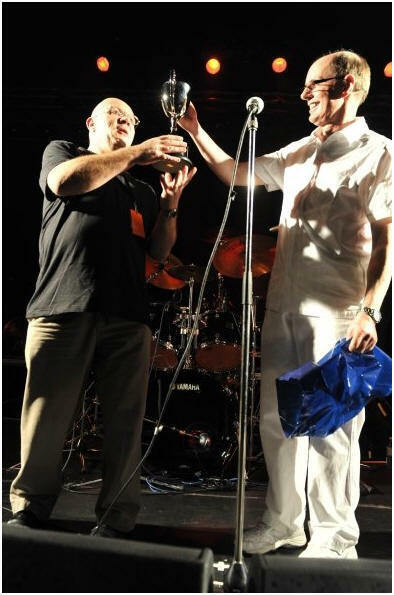 As David said on stage at the SLF 2009 gig where the webmaster received the Friars Lifetime Achievement award "Mike has put hundred and hundreds of hours into this and all for love". Very true, your webmaster is obsessed with it all and never ceases to be amazed at what is still cropping up.